Want to purchase 2018 season tickets? Click on the form below, fill it out, and return it to the Duluth Huskies front office. P.O. Box 16231 Duluth, MN 55816. The early-bird deal goes until December 24th! 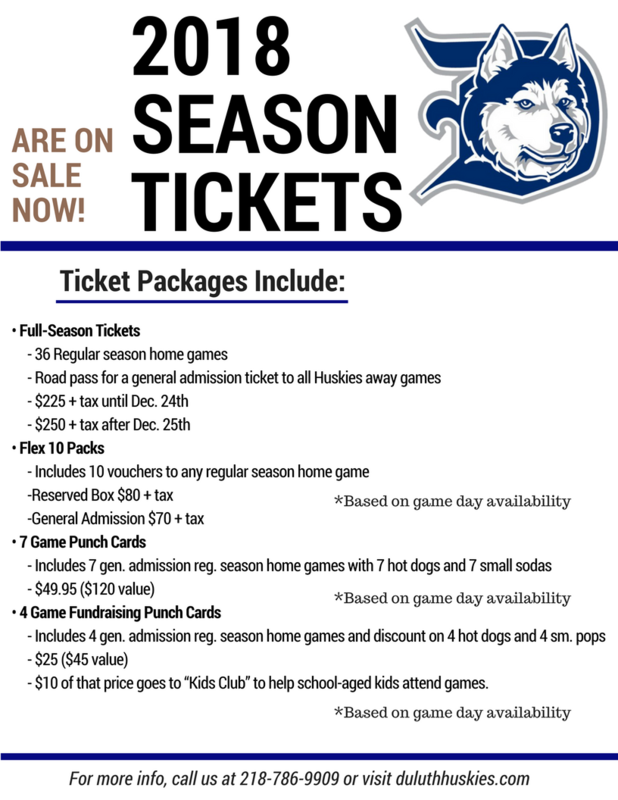 For questions, please call us at 218-786-9909 or email Becca at duluthhuskies@gmail.com.